I am always amazed at the kindness of strangers. I love cats, as I am sure that everyone here knows, and I have joined in some swaps for cat postcards. I like to use them as bookmarks. Well I messed up and left one in a book that was going back to the library. The other day I received a hand addressed envelope from a person that I didn't recognize in my city. This kind person had found one of the cat postcards and returned it to me. What a nice person! I plan on making her up some earrings and sending them her way. Wow! Everything is better with chocolate. I am going to be doing a review on some Swiss Chocolate and I just received a HUGE box of chocolate to sample. There is so much that I am thinking about making up some Easter baskets and taking them down to a women's shelter. Well I started meds for my anxiety. Since I tend to have strange reactions to some medications, my doctor put me on the smallest dose and boy am I glad that she did. About 30 minutes after I took the first one, I felt my mind slowing down. Had to have Saje drive me to the store since I didn't trust myself on the road. Woah baby. I don't know how people can function on a normal dose. Those chocolates are sooooo good! I just love how corrupt the health insurance companies can be. I belong to an HMO which means that I pay my premium and go to their clinics. My physicals are supposed to be free under the new laws yet when I look at the explanation of benefits, my physical was free yet they are charging me $155 for the doctor's visit. Hello. How can I have a physical without visiting the doctor? I get to call and yell at them for this. Okay I am being impressed by Honda. I am the second owner of a Civic Hybrid yet I received a call this morning letting me know about a recall due to the air bags. I need to get it in and have them replaced. All at no charge to myself. I am considering revamping my Store Envy store front and just carrying my artisan fashion jewelry with a lower price point on there and moving all of my art jewelry over to Just Because boutique. What do you think? That's a great story about the postcard. Nice when people go out of their way (and nice of you to send earrings!) 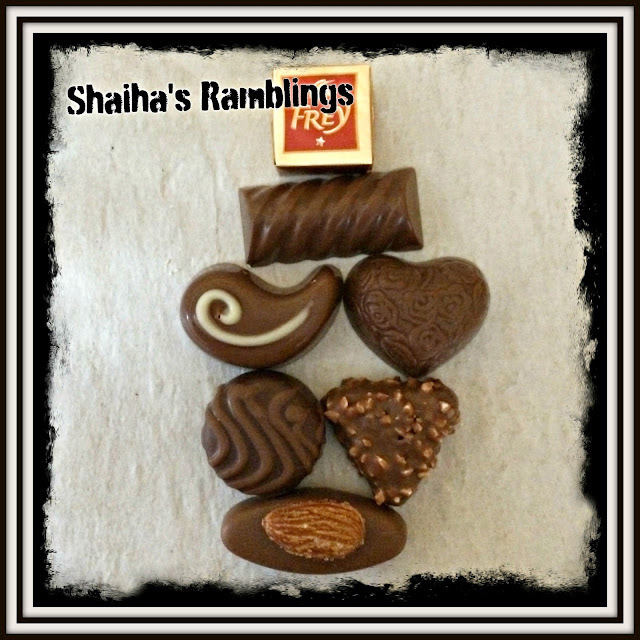 Those chocolates look yummy! I rarely have any side effects from medication, but I tried one once that made my mind so foggy. I found myself at a stoplight wondering if red meant go or stop. Needless to say, I got off that one. I hope you find one that works with no bad effects!